ure around chest under arms and over shoulder blades. 16 N 6055-Ankle length drawers. Shpg. wt., each, 1 lb. 32, 34, 36, 38, 40, 42 or 44-inch waist. 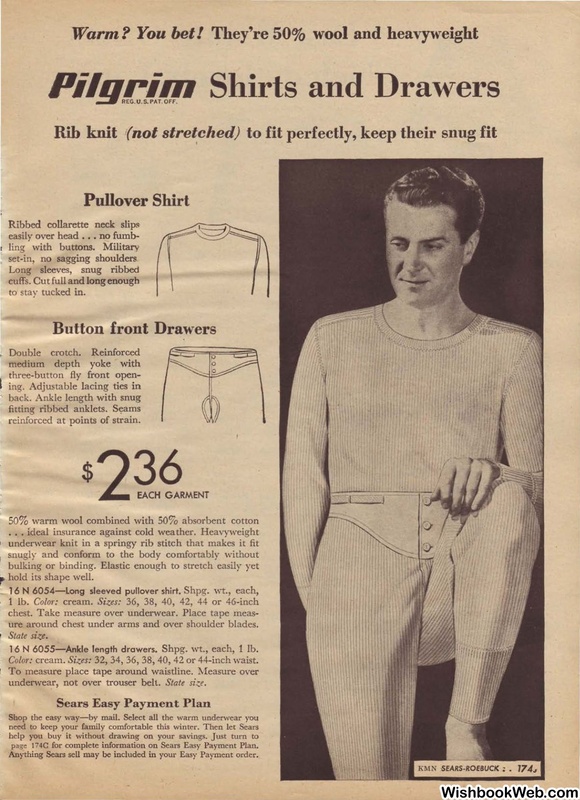 underwear, not over trouser belt. page 174C for complete information on Sears Easy Payment Plan. Anything Sears sell may be included in your Easy Payment order.